Application are invited from Interested Indian citizen for filling following vacancies in the office of the Treasury officer, Tinsukia. For these posts in D.C. Office Recruitment 2017, I will tell you all in details. Educational Qualification- For the posts of Grade-IV (Peon) a candidate should qualification Class VIII pass. Application mode- Application mode for this selection process of is Offline. Self attested copies of certificate /diploma etc. in support of the Educational Qualification must be accompanied with the application. 3(three) copies of recent passport size photograph duly attested by a Gazetted Officer must be enclosed with the application. The name of the candidates must be written on the reverse of photograph. 1 (One) self addressed envelope of 5cm x 11 cm size affixing postal stamp of Rs. 10/- only must be enclosed. 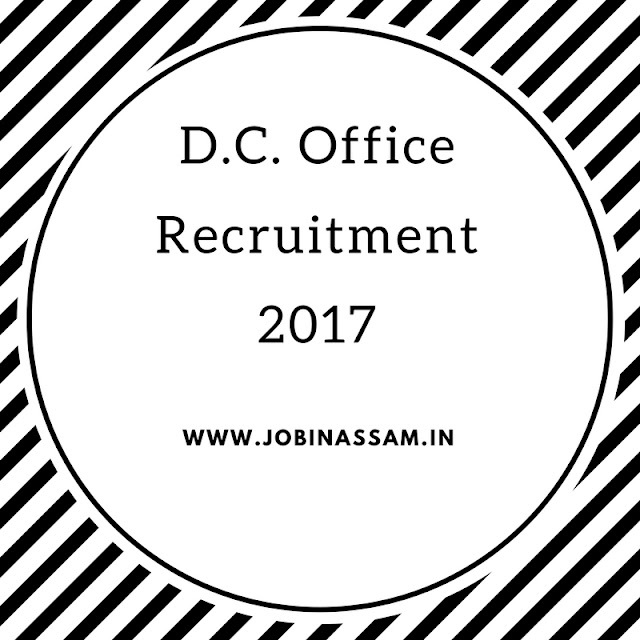 I have shared all the important knowledge for the upcoming D.C. Office Recruitment 2017 Recruitment in Tinsukia here. These jobs in office of the Treasury officer, Tinsukia will be a good job for you if you are eligible for the post mentioned above, apply before the last date. Monthly pay for the above jobs is also good.